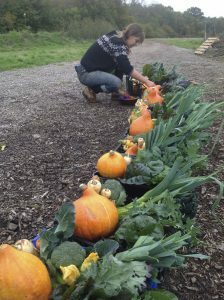 The Crossing Community Supported Agriculture scheme in Forest Row, East Sussex grows REAL, CLEAN, LOCAL produce for local people. 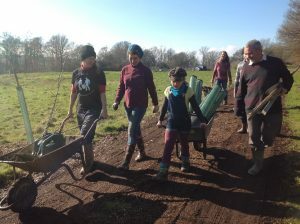 www.thecrossingforestrow.com is supplying fresh food free from pesticides, herbicides and fungicides and offering educational experience, volunteering opportunities and community cohesion. Running courses on nutrition www.grandmaalchemyskitchen.com, our aim is to provide information, inspiration and motivation for transformation using food as medicine. In collaboration with www.biologicdesign.co.uk we are creating a resilient landscape both drought tolerant and flood resistant. Growing food, fodder and fuel crops that need time to establish. Resilience means adaptability in times of climate change. We are saving the seeds and working on BEING THE CHANGE that is required to mitigate our impact as a species on the web of life. Wealden Council states we are causing “harm” to the Ashdown Forest SAC, SPA and SSSI, and has given the project enforcement notices which require us to stop what we are doing and leave our land by 18th November 2016. We are raising funds to challenge their decision at The High Court. The Solicitor, Barrister and Planning Consultants are working for a greatly reduced fee and understand the cause, never the less, it is a costly procedure. Should negotiations resume with the planners, we will not have to go to The High Court and funds raised will be spent to further our aims: electric fencing, fruit trees, polytunnels, shower for workers and dry storage. We can negotiate. Wealden Council has discretion over this decision and has the opportunity to work with us all to make The Crossing a credit to the community: a Centre of Excellence and Education in Agro-ecology. It is possible to impose conditions on permission, such as: temporary residential permission for agricultural workers may be granted only whilst an Agro-ecological business is run from this site. 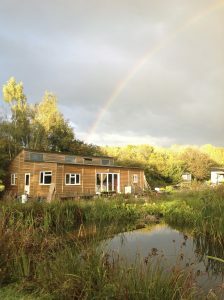 In 2014 The Crossing crowd-funded and barn-raised the wooden structure that serves as agricultural administration office, class room, demonstration kitchen, wwoof accomodation and affordable housing for agricultural worker and family for £35,000. Help us to demonstrate what is possible when the people get together. Work with us: contribute to the survival fund. If you would like your contribution to remain anonymous from the public, remember that you do not have to give your real name at the check out. And you do not have to make an account on the website if you do not want to. The Crossing will receive the details that Paypal will give them, which includes your email address. It is not possible to hide that information, as that would break the money laundering laws. With deep gratitude and much love from The Crossing crew. If you would like to help us but don't want anything in return, you an choose this option. Just change the number on the next screen. Limit: 15 of 200 taken. Limit: 4 of 200 taken. Express Yourself: The Word – tools for creation. ALL of the above PLUS: Your name on our website with personal thanks and links to your project, organisation or website. Limit: 0 of 8 taken. Limit: 4 of 24 taken.